So you want to get a new job. The first thing you should do is update your LinkedIn profile — which is actually easier said than done. Many job seekers make big mistakes when prepping their profiles, sabotaging their searches without even realizing it. It is no longer okay to opt out of having a profile photo on LinkedIn. Having a photo helps employers and recruiters trust you — because it lets them see you are, in fact, a real person. Furthermore, if another person shares your name, having a profile picture will allow people to find the right profile for you. You may have not thought about this before, but you need to check out the URL of your LinkedIn profile page. It will begin with “www.linkedin.com/in/.” If you haven’t taken the time to customize your URL yet, that final slash will be followed by a string of random numbers. Take a few minutes now to create a custom URL that is cleaner, more professional, and unique to you. You can do this by heading to your profile and clinking the link that says “Edit public profile & URL” in the top righthand corner of the page. Keep your new URL simple and avoid references to your birth or graduation year. You don’t want employers to guess your age from the start. I know, you’ve been busy. 2018 was a crazy year for everyone. However, now is the time to update your profile. Make sure your LinkedIn page includes all your most recent experience before you head out into the job market. 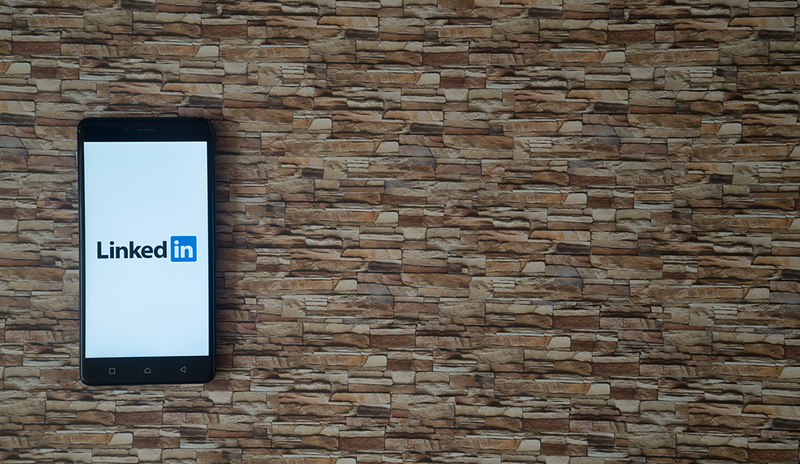 I know LinkedIn isn’t the same thing as Facebook, but to use it effectively, you need to connect with other people on the platform. Your goal should be a minimum of 500 connections. To reach that number, connect with colleagues, classmates, and professional friends. The more first-degree connections you have, the more second- and third-degree connections you’ll have, which will make it easier to find people at new companies you’re interested in. They are often overlooked, but LinkedIn recommendations can be incredibly powerful. Your former bosses and coworkers can leave positive feedback for everyone to see. This shows you’re someone your colleagues would love to hire and work with again. If you’ve been laid off in the past, the recommendations section can show future employers that you were a valued employee, not someone who was let go due to poor performance. LinkedIn isn’t just a place to write out your resume. It’s a place to connect with other people, to join and participate in groups, to have engaging professional discussions. Don’t sit around passively on LinkedIn. Get involved. Make a name for yourself. LinkedIn is critical to any job search these days. Before you embark on the hunt for a new role, review your profile. Updating it now will help you get 2019 off to a great start.